I finally reached the threshold for receiving sales revenue from Lulu.com. As a non-US resident and my ebooks include a free Lulu ISBN, the IRS requires Lulu to withhold US income taxes on any sales delivered to the US. "We distinguish between "other revenue" and royalties. 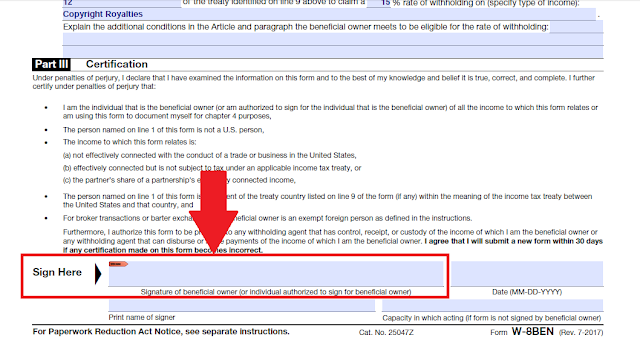 Only sales of titles with a Lulu ISBN count as royalties, which are reportable by Lulu to the US tax authorities and subject to US tax withholding. 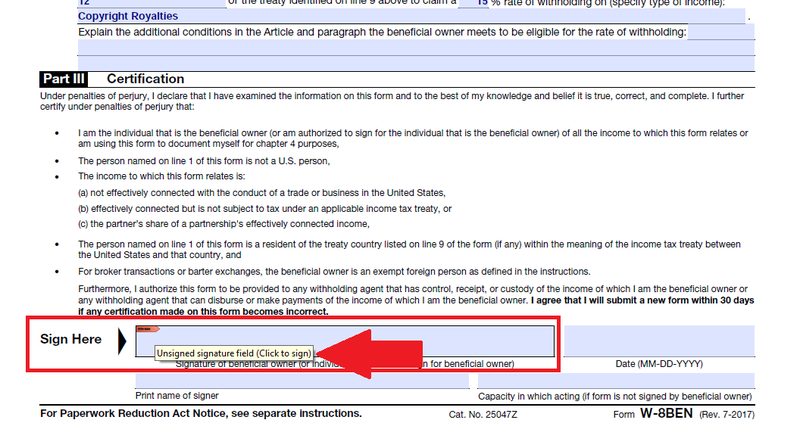 A valid US tax form on file can reduce or eliminate the tax withholding amount." The U.S. standard rate for these sales is 30%. To apply reduced tax treaty rates (if available), I must submit a completed W-8BEN form. 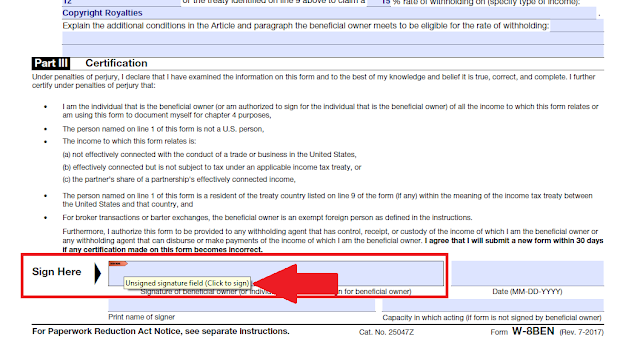 The form is provided in Lulu's support page here and I just downloaded it last January 17. I read in the provided Tax Treaty rates (pdf file) that for royalties in the Philippines they withhold only 15%. From 30% reduced to 15%, that would be better. 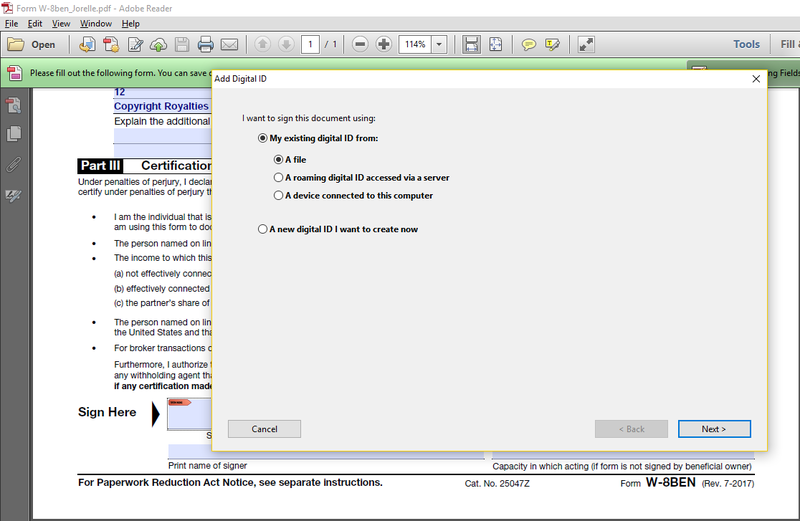 However, there is a required signature on the form (it is in pdf file), our printer does not have an ink and their file has a different way of filling it out with your signature. When you hover through it you can see this. And this is what appears after you click on it. I thought I'd have to search for it first but I had other things to do and since they only pay on or before the end of every month, I set it aside for a while thinking it is still too early for the payment to be made (January 17). I just thought of filling my Payee information on my Lulu account and then logged off for now. 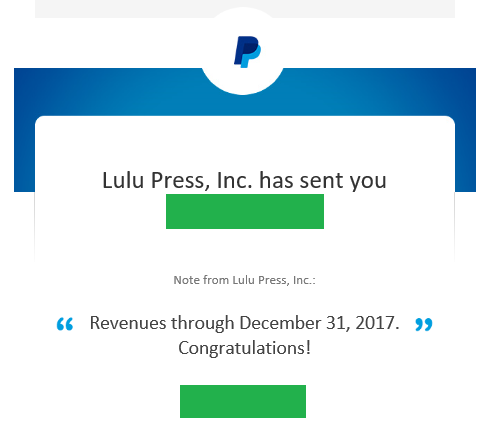 To my surprise, I saw an email from PayPal the next day that I have been credited an amount from Lulu. 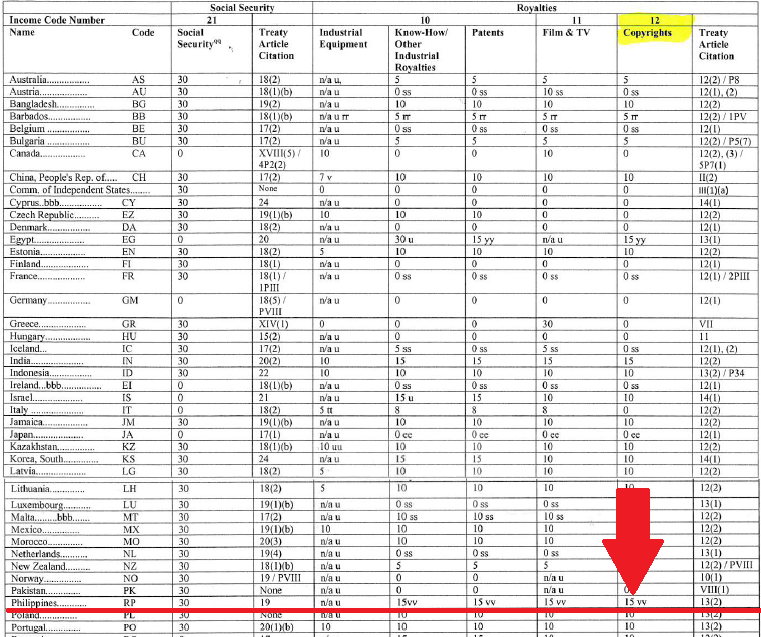 The amount was deducted by 30% which I suppose is the amount they withhold for US tax purpose. Really, that caught me off guard. In their information page, they said that PayPal payments for each month are made on or before the end of the following month. For example: Payment for January sales are made by the end of February. But since it is already been done, I still feel thankful and learned my lesson. 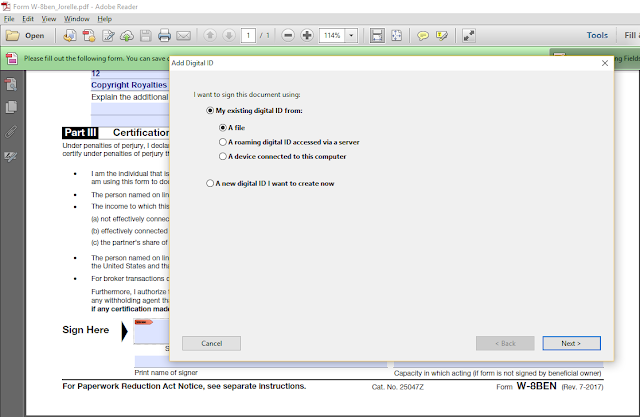 I must fill out the W-8BEN now for future Lulu payments and I must submit another W-8BEN for my Upwork account now as well to avoid this kind of surprise.